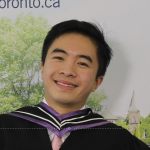 I’m a graduate from U of T’s Master of Music, specializing in music technology and digital media. I have 9 years of piano-teaching and tutoring experience in addition to hundreds of hours of working with and educating children in a variety of settings from hospitals to schools to summer camps for the intellectually disabled. My educational background focused on sound recording techniques, the acoustics and psychoacoustics of music, the digital media business landscape, and the composition and production of music and sound design for film, video games, and the web. Previously, I completed an ARCT diploma in piano performance and a BScH in life sciences, giving me a significant breadth of perspective from the qualitative arts to the quantitative sciences. I love teaching and I love working with kids, youth, and learners of any age group. To share my knowledge to help them learn something meaningful is my passion.